The Government of Kenya has requested a possible sale of 12 MD 530F weaponized helicopters to include 24 FN Herstal Heavy Machine Gun Pod (HMP) 400 systems; 24 M260 rocket launchers; 4,032 M151 rockets; 1,536 2.75-inch M274 smoke signature warhead rockets; and 400,000 rounds of .50 caliber ammunition. Also included are communications and navigation equipment, contractor logistics support, training, U.S. Government technical assistance, airframe and weapon system spare parts support, Contractor Field Service Representative (CFSR) support, and Special Assigned Airlift Mission (SAAM) flight delivery support. The total estimated cost is $253 million. "This proposed sale contributes to the foreign policy and national security of the United States by improving the security of a strong regional partner who is a regional security leader, undertaking critical operations against al-Shabaab, and a troop contributor to the African Union Mission in Somalia (AMISOM),"
This FMS will advance Kenya’s efforts to conduct scout and attack rotary wing aircraft operations in support of their AMISOM mission. 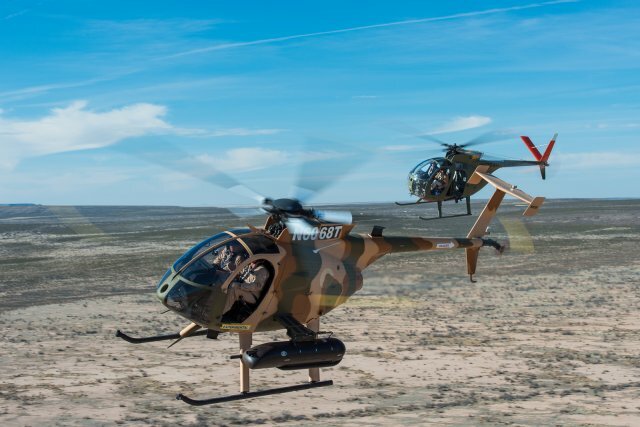 The MD 530F will also replace Kenya’s aging fleet of about 40 MD 500 helicopters, which is the current reconnaissance platform supporting Kenyan ground forces. An evolution of the well-known OH-6 Cayuse light attack and reconnaissance helicopter, MD Helicopters' MD 530F platform is powered by Rolls-Royce 250-C30 turboshaft engine. The MD 530F can fly at a maximum cruise speed of 248 km/h within a maximum range of 430 km and a service ceiling of 5,700 m.
The MD 530F has been deployed by the Afghan Air Force since 2011. The AAF fleet of 12 MD 530F helicopters was delivered through a programme managed by the US Army Security Assistance Training Management Organization.